The date of implementation of the national minimum wage is to be announced by President Cyril Ramaphosa today. But this new law is set to harm a great many unfortunate people who currently earn incomes well below the national minimum wage, and the many more who earn zero. The 9.74 million who were unemployed at September 30, some of whom lost their jobs in anticipation of the introduction of the national minimum wage, will have even greater difficulty in finding jobs. 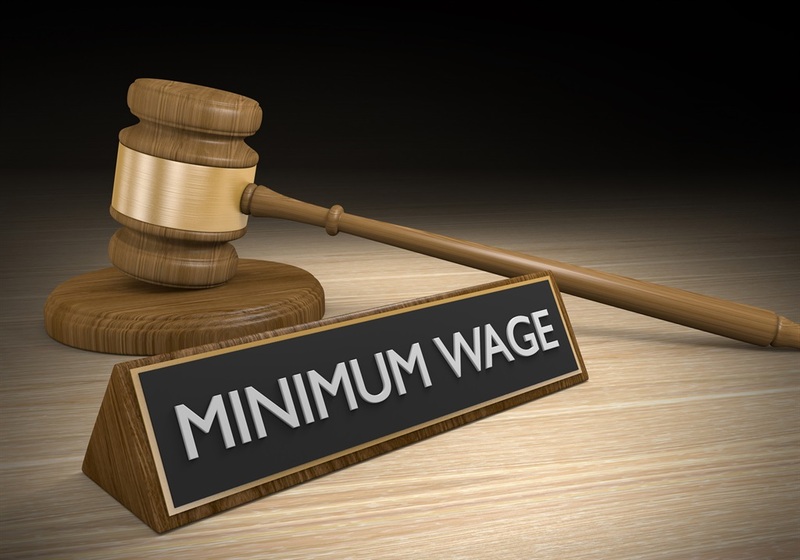 Workers who earn slightly less than the national minimum wage, requiring only a small upward adjustment to meet the R3500 minimum, are likely to retain their jobs. The 2.5 million workers who earn more than R2500 but less than R3500 are vulnerable and at risk. Those earning considerably less, such as the four million people who are reported to be earning less than R2500 a month, are in great danger of losing their jobs. Professor Imraan Valodia, who chaired the committee that determined the national minimum wage levels, defends the national minimum wage and maintains that it will not lead to significant job losses. What number of jobs lost would be “significant”? To those who lose theirs, one job is sufficiently “significant” to justify saying no to the national minimum wage! He claims that the large increase in low paid work has “done nothing to address the unemployment challenge” but has, “instead, generated vulnerability and insecurity among low paid workers”. His committee obviously did not conclude that setting an national minimum wage of R3500 would make the “vulnerable and insecure” people earning R1500 a month, not only less vulnerable and insecure but unemployed. Is it possible that as someone who played a major role in the establishment of the national minimum wage, Valodia is unaware that the department of labour has published regulations in which the “exemption” he speaks about has been cut down to a 10% discount for a maximum of 12 months? A parliamentarian whom I approached about the so-called “exemption” knew nothing about the draft national minimum wage regulations that the labour department had published, which not only countermands the wording of the act but is set to deal a horrendous blow to low-income employers and their low-wage workers. Should low-income workers earn higher wages? Absolutely! The problem is that higher wages cannot be brought about by force or out of thin air. Employers need to increase their sales and profits to afford higher wages. Thousands of small employers will quietly and sadly say goodbye to their workers, and some of them will have to close their businesses. What will this achieve? The real route to higher wages requires strategic thinking, such as the “positive non-intervention” policy applied in Hong Kong in 1945 at the end of World War II. More than a million Chinese residents who had been deported during the war, flooded back to Hong Kong at a rate of about 100 000 a month between 1945 and 1947, taking the population to its former level of about 1.8 million. Nearly half a million immigrants surged in from China during the 1948/9 Chinese civil war. And, in the late 1970s, about 65 000 refugees from Vietnam landed in Hong Kong under the British entry rules for refugees. This large influx caused mass unemployment as well as other problems. Hong Kong made a deliberate effort to remove government heavy-handedness from economic life, allowing entrepreneurs to innovate and employ the available labour in any way they could, with no strict labour laws and no minimum wage. Hong Kong resolved an unemployment problem like the one that now faces South Africa. With wise policies they grew the economy at an astonishing rate. Per capita income increased from 28% of that of Britain in 1960 to 137% in 40 years. South Africa should follow the practical and successful Hong Kong example and not the impractical and economically disastrous “forced minimum wage” route. • Eustace Davie is a director at the Free Market Foundation and the author of Jobs for the Jobless: Special Exemption Certificates for the Unemployed and Unchain the Child: Abolish Compulsory Schooling Laws.